You are currently browsing the tag archive for the ‘stop motion’ tag. The shy Victor and Victoria are forced by their unsympathetic parents to marry each other. ‘Corpse Bride’ is a typical Tim Burton film, especially in its art direction, in its 19th century, gothic setting, in its dark humor, and in its jolly portrait of death. Because the film is also a Danny Elfman-penned musical, it feels like a successor to ‘The Nightmare before Christmas’ (1993). 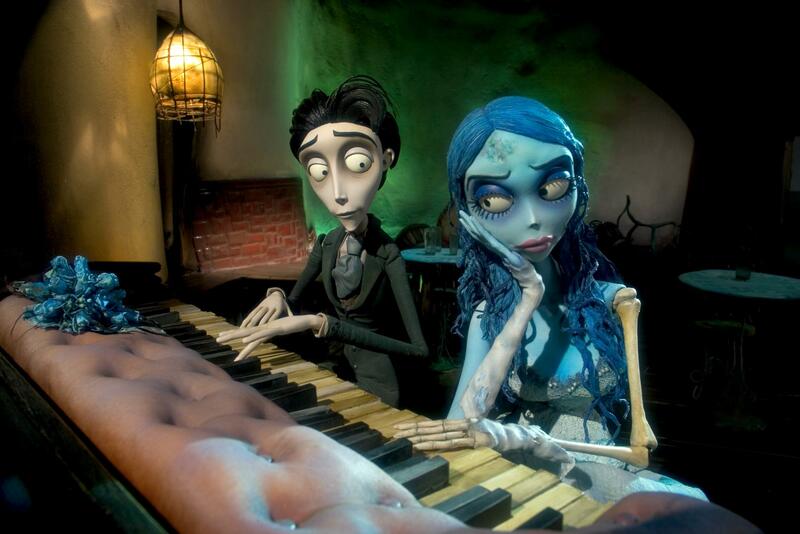 Nevertheless, it is far more enjoyable than that sometimes tiresome film: ‘Corpse Bride’ features only three songs, two of which help to tell the story. So, even though one could do without the musical element, it doesn’t dominate the complete film. Also, the art of ‘Corpse Bride’ is a great improvement on ‘Nightmare before Christmas’. The dull greys and blues of the living world contrast greatly with the vivid colors of the underworld, which is clearly more fun to ‘live’ in. The designs of the puppets are extreme, and their almost flawless animation is jawdroppingly rich and expressive. The story is lean, and focuses on the three protagonists, Victor, Victoria and Emily, who all three are very likable characters. The voice cast is impressive, and includes Johnny Depp (Victor), Emily Watson (Victoria), Helena Bonham Carter (Emily) and Christopher Lee (Pastor Gallswells). All this make ‘Corpse Bride’, together with that other stop-motion film ‘Wallace and Gromit: the Curse of the Were-Rabbit‘, the best animated feature of 2005/2006, surpassing all computer animated films of those years. It proves that traditional animation is still viable and relevant in the computer age. After three excellent two-reelers British animation heroes Wallace and Gromit were ready for their first feature film. ‘The Curse of the Were-Rabbit’ elaborates primarily on the themes of ‘A Close Shave’: love and horror. This time Wallace and Gromit are after a giant rabbit threatening the crops breeds for a vegetable contest in the village. The stop motion animation in this film is practically flawless, elevating the century old technique to the highest standards possible. Indeed, both this film and ‘Tim Burton’s Corpse Bride‘, another stop motion film, were far superior to any computer animated feature film released in 2005 or 2006. ‘The Curse of the Were-Rabbit’ is not only a great animation film, it is great cinema, with excellent camera work, a flawless story, wonderful characterization and lean storytelling that builds to a spectacular climax. 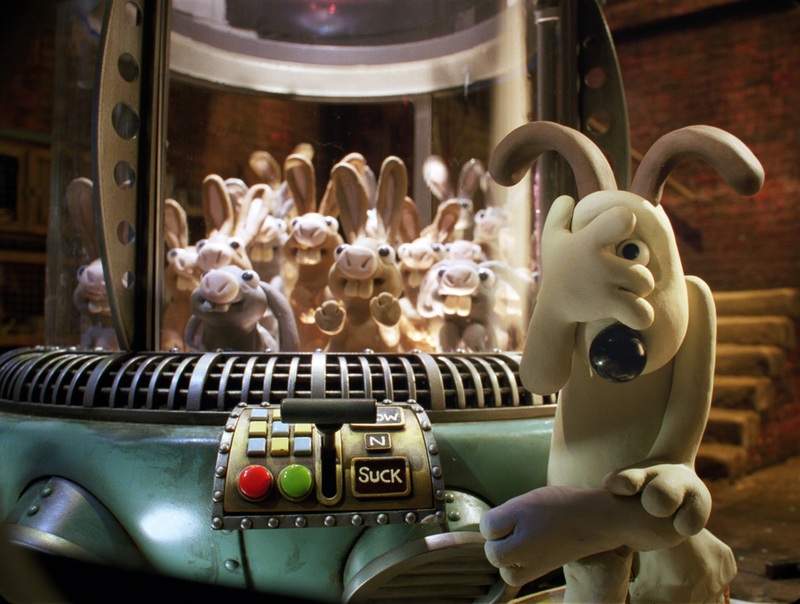 Especially the animation of Gromit is stunning, because his acting is completely silent throughout the picture and uses only the eyes to suggest emotion.